Other short pastas, like fusilli or rotini, work equally well, making the casserole easy to scoop up to serve. No leftover chicken? Buy a rotisserie chicken—a 3 lb. bird will give you about 3 ½ cups of meat. That optional sprinkle of chopped parsley adds not only bright color but also a fresh taste—don’t skimp on the amount you use. Use Cheddar cheese instead of mozzarella for a more cheesy flavor. 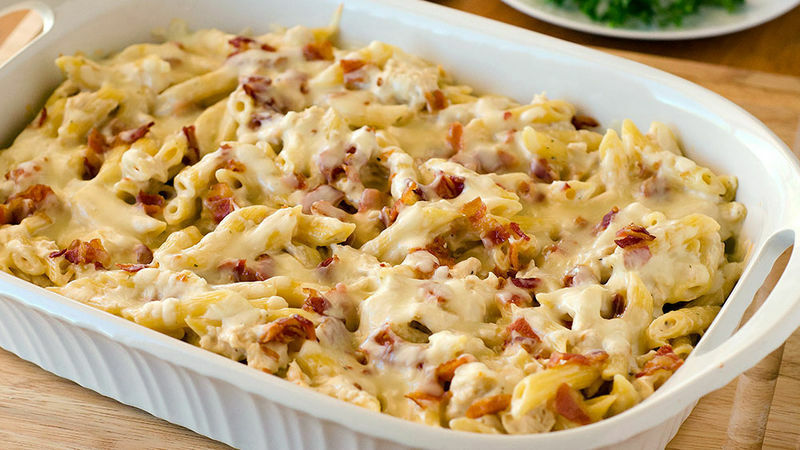 Pasta is our go-to dinner and there are few flavor combos we appreciate more than chicken, bacon and ranch, so it was only a matter of time before we introduced them to one another. 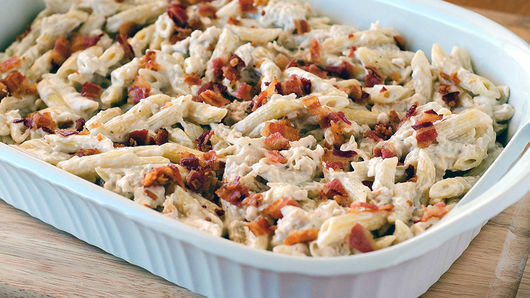 This chicken-bacon-ranch pasta dish is an easy dinner that has the potential to be even easier when you use precooked bacon and rotisserie chicken. 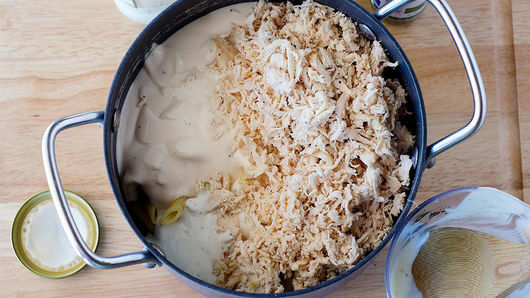 Speaking of easy, did you know that you can make and freeze this pasta dish for later use? Simply bake the dish as the recipe instructs, cover and freeze. When you’re ready to eat it, we recommend thawing it overnight in the refrigerator first. Have a few boxes of penne pasta on hand? 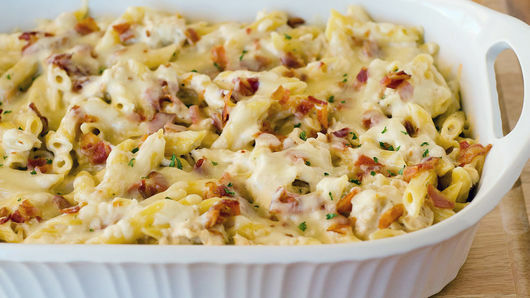 You can make a casserole, dinner in the skillet or a one-pot meal with these penne recipes.